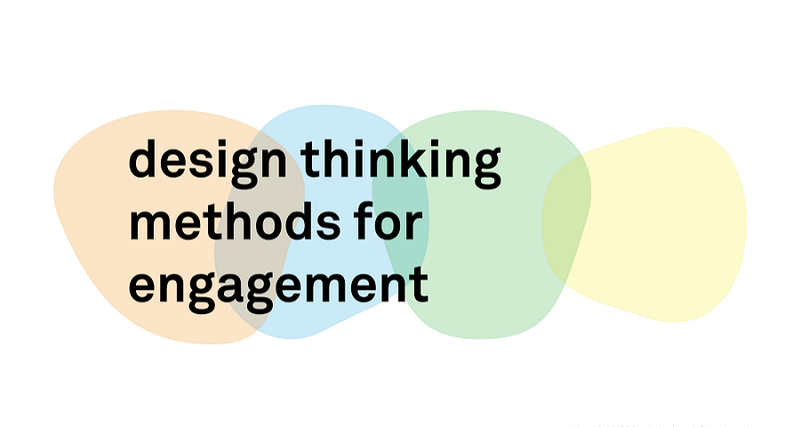 Design thinking is a popular concept in design. This article explains basic ideas of design thinking, and lists design thinking tools and various resource collections. In the article “What Is Design Thinking?” pointed out that design thinking is an understanding of the design process, so all involved people, regardless of their roles, must be responsible for creating a practical, functional, aesthetic products with reasonable price. This article will explain in more detail the definition of design thinking, five phases of design thinking, design thinking methods, design thinking tools, and various types of resource collections. Problem-Solving: Every design starts with a problem at the very beginning. People needed to shelter from the rain and sleep in the cave but it's too humid, so here came with the house. The primitive people needed to cover their bodies because of the shame, so the clothes were designed. People needed to hunt and the stones were too sharp, so they had tools. People need to drink water and it’s too far to the river, so cups were made. Any design is a purposeful demand solution starting from the problem. Problem Reframing: Designers will encounter this situation for a long time. Trying to solve a problem at the same time introduces another problem. For example, EVs have solved carbon emissions. The problem, but the production of lithium batteries has brought river pollution. This is what designers do not like to see. Sometimes we need to reposition our own problems. People do not actually need mobile phones (nouns). People only need to communicate (verbs). So the problem at the cell phone level may be important. The important thing is how to make people communicate better and more conveniently. When Ford asks the user what he wants, the answer he gets is a fast horse. If he does, Ford may be just a horse farm. But in fact, people don’t need horses. People just want to move quickly (verbs), where cars may be a solution. This is a constant deduction of the nature of the problem. Focus on extreme: There may be many people who will argue with me. d School's Design Thinking only mentions user-centered, but here I'm talking about extreme users. Extreme users refer to users whose behavior and needs are extremely extreme. For example: I am a company that produces household kitchenware. My main user segments are general users (think like professional chefs and disabled people). Our products are sold to the average person. Why should I pay attention to my extreme users? (Professional chefs and disabled people). Extreme users can amplify the user's demand for the product. In this example, if a professional chef does not feel that the tool is unresponsive to use, and disabled people are not inconvenient to use it, the average user will not even feel this. There will be problems with the design. System thinking: When we talk about innovation or design, any thinking cannot focus on innovation or design. We must observe the entire system that involves this innovation ( For example, when designing medical devices, we cannot consider the needs of users individually. The systems we need to consider will involve many elements: busy doctors, stressful work, patient's mood, hospital space, and the rest of the equipment. Equipment manufacturers, government medical insurance, etc. are all within our scope of innovation. We should take this product into consideration with the systems around him. 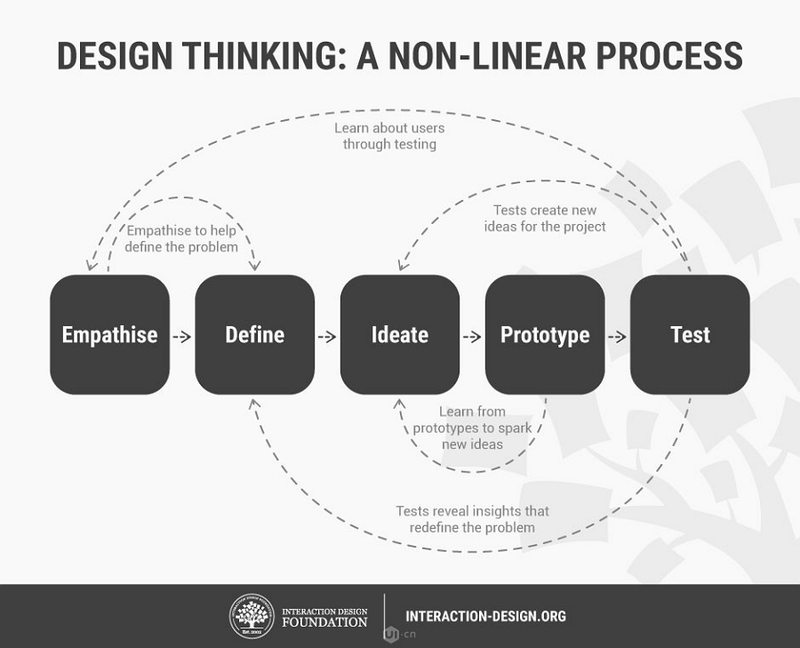 Design Thinking Professional Leading University – Stanford University divides design thinking into five phases: empathy, definition, conception, prototype and testing. That is, "requesting" and setting up a place for the user to think about the problem. In order to be empathetic, it is necessary to perform three steps. First of all, it is necessary to observe not only the user's behavior, but also the reasons behind the user's behavior and the causal effects of the dilemma. Second, to do more communication with users, do more research and questionnaires, use various ways to understand the user's real ideas. Finally, to be immersed, assuming that you are the user yourself, with this idea to personally experience the product or service. In short, the first step of empathize is to do everything possible from the user's point of view to think about the problem and discover their real needs and pain points. Describe a Point of View (POV) that can tell people in a very simple way what your team is doing and what the value of these things is. This not only allows more people to pay attention to your products, but also motivates the entire team to form the team's own values. In general, Define is to define your own footing, so that others clearly understand what you plan to use to solve the problem. Do brainstorming, according to the previous observations and research, after the discovery of the problem, think out as many solutions as possible, taking into account all the people may be involved, and finally simplify a specific solution. For example, D. Light, an NPO, after insight into the fact that many students in Africa faced the problem of having no money to buy e-learning, pondered many solutions. Finally, they designed and produced a cheap fluorescent lamp for many African families. Go to light. After implementing the solution, it is necessary to implement and complete the solution in the shortest time and with the least cost. At the same time, while prototyping the product, we must actively reflect and discover new problems. At one point, D. School advocates visually making product prototypes. It does not require precision, but it is fast and intuitive. Therefore, the rapid prototyping tool Mockplus is needed to improve the efficiency of prototypes. Designers or evaluators rigorously test the entire product using the best solution identified during the prototype design phase. This is the final stage of the five-level model, but it is also an iterative process. The results produced during the testing phase are often used to redefine one or more problems and inform users, usage conditions, user thinking, behavior and feelings. Understand and empathize. Even at this stage, in order to eliminate some problems, the solution will be changed and improved, and the product and its users will be as in-depth as possible. To experience the world as the user himself, rather than taking the experience of others, he must ask more questions about why. Instead of searching and sorting out second-hand materials, he might as well experience and investigate, visit and seek truth, and observe the real people. What happens is to empathize with such a field and really solve the problem. Unleash your own curiosity and think as much as possible about the solution to the problem. Only by making curiosity stronger can you let yourself go, stop the comments, and pay more attention to the users and the whole society, and finally perfect the products and services. Design thinking puts a lot of emphasis on designing for the real world. Before doing anything, make it clear who the audience is. What will happen to them after they are done, and what kind of feelings they will have, be user-centric and walk into real users instead of focusing on themselves. Design thinking emphasizes rapid prototyping, collecting user feedback, and iterating continuously. It is necessary to think about and record excellent ideas at ordinary times, to actively practice these ideas, to learn in action, and to be taught in failure. Of course, given the limited resources, or can not create great value, I would rather give up this idea. The original intention of returning to the design is to find problems and solve problems. Do more innovation and design thinking, how can we do better. If you are the manager of the organization, think about how to help the team grow better; if you are a front-line employee, think about how to make the user have a more perfect experience. Many of the top 500 companies in the software world are in use. It can be said without any doubt that a very powerful software, with more than a million enterprise customers worldwide, is suitable for multiple platforms. We can visualize all our ideas, management, and documentation. Quickly improve understanding and logical connections. Make the content that needs to be expressed more intuitive, friendly, and easy to save. Can export a variety of different file formats, WORD, POWERPOINT, EXCEL, OUTLOOK, PROJECT and VISIO, especially for working professionals. Color-coded pictures can be performed, brainstorming is also very simple to operate, there are applications, support for synchronization to the cloud, support file format download. Colleagues can work on online job tasks and intuitively implement branching structures and custom links. Make it easy for users to organize their own notes. Share your own profile with your friends, colleagues, and customers and show your thoughts. As mentioned above, design thinking emphasizs rapid prototyping, collecting user feedback, and iterating continuously. A rapid prototyping tool like Mockplus can display application details in detail, quickly add interactions and animations, facilitate software feasibility and usability testing, prototype preview, cloud synchronization and sharing, and team collaboration. To meet the various UI/UX design needs of designers (whether they are newcomers to the design or experts who have been in the industry for many years), Mockplus does everything possible for the design of each operation, button, option and function of the tool. Simple and fast, it can help to quickly design prototypes. POP is a convenient app that converts sketches into working prototypes. For many fans who use paper for prototypes, it is the most useful and time saving weapon of choice. Murally is software that allows online organization of ideas and inspiration. It visualizes concepts in real-time through team members and provides a shared digital whiteboard based on cloud computing, allowing teams to intuitively analyze challenges and help inspire design thinking. In design projects around the world, teams involved in service design (or design thinking, experience design, UX, cx, etc.) often encounter similar questions: What to do after the seminar? How to handle seminar results? How to work with a spatially dispersed team? How to create professional deliverables with limited time and budget? Smaply provides basic service design tools, journey maps and potential user maps, and provides free template packages and other seminar materials to help individuals and organizations successfully conduct design thinking workshops. Silverback is a software that, in their own words, is primarily used for guerilla usability testing. It allows you to capture the browsing session of invited participants in the study. You can also observe their reactions and facial expressions for further insights. UsabilityTools is a platform that allows you to view websites from a user's perspective, or in combination with different research and testing methods to directly ask them how to improve your service. UsabilityTools brings together a research team that can access more than 10 million people worldwide and advanced positioning options. 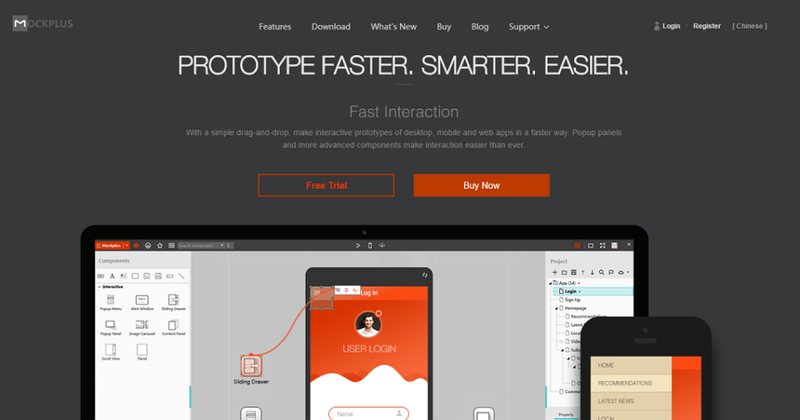 o What Prototyping Tools Do You Need for UX Design? o Rapid Prototyping for UX/UI Design: 5 Steps for Fixing Flaws… Fast! o Prototype Design: What is a Wireframe, and What is a Prototype? o What Are The Advantages of Prototyping? How to Make The Most of It? o How Does Mockplus Help You to Make Rapid Prototyping?